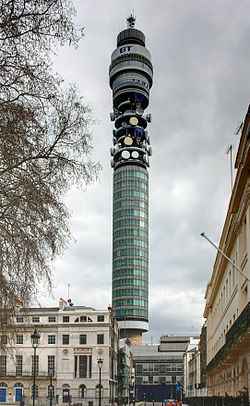 Jared won exclusive tickets for us to celebrate the 50th Anniversary of the BT Tower in London. 80 couples were able to take afternoon tea 158 m high in the sky. The lift tells you how fast it is going and it reached 1400 ft per minute on the trip up to the 34th floor! We were lucky to get a table right next to the window, so we had panoramic views of London as it spun round, although the weather was cloudy, we could still see the London Eye, Houses of Parliament, Hyde Park, the Shard and St Pauls Cathedral. We were greeted with a glass of wine and had rolls, scones and yummy cakes. We also were given a goody bag as we left with a souvenir photo, bar of Chocolate decorate with the tower, cupcakes and a tie pin - a fabulous experience!